The Irish Free State came into being at the end of 1922, following the signing of a Treaty with England in December 1921. This Treaty granted dominion status within the British Empire to 26 of the 32 counties of Ireland. It brought to an end the War of Independence, which had commenced against the British in 1919. Then followed a bitter and traumatic Civil War, between those who supported and those who opposed the Treaty. The Civil War lasted until May 1923. The anti-Treaty faction opposed the Treaty on the grounds that it did not grant full Irish Independence. The Cumann na nGaedheal party, under the leadership of William Cosgrave, ruled the new state for ten years from 1922. This party was conservative in outlook and concentrated on consolidating the country's economy and its institutions. The party ruled largely without opposition until 1927. The previous year, Eamon de Valera had founded a new party, called Fianna Fáil. De Valera had led the opposition to the Treaty and had fought against the Government forces during the Civil War. His party won 44 seats in the general election of 1927. 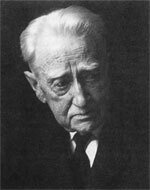 When Cosgrave called an election early in 1932. Fianna Fáil won 72 seats. They formed a Government with the help of the Labour Party. 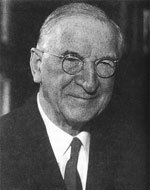 De Valera served as President of the Council of the League of Nations in 1932 and later as President of the Assembly. Fianna Fáil remained in power during the years of the Second World War, in which Ireland remained neutral. The war years were known as the 'Emergency' in Ireland. In the general election of 1944 Fianna Fáil once again were returned to power. However, they were defeated in early 1948 and an 'inter-party' or coalition Government was formed of several parties, under the leadership of John A. Costello. On Easter Monday, 1949, the 26 counties of Ireland became a Republic. Ireland in the early twentieth century was a poor country. The levels of poverty in many isolated rural areas were exceptional by western standards. In 1930, the total population was just under three million. The great majority of the people were living in the countryside, or in country towns and villages. Dublin, the capital city, had a maximum population of about half a million people. In 1930, the majority of Ireland's population occupied small agricultural holdings. Over a period of about 40 years, from the end of the First World War (1918), there was a general movement towards a consolidation in farm size. By the mid 1950s, forty-five per cent of farms were in the range of 30 to 100 acres. The total area occupied by both tillage and pasture in the 26 counties, in 1930, amounted to about 11 million acres. 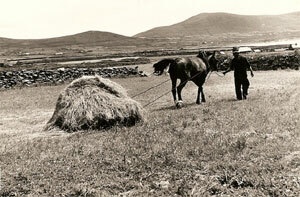 Pasture was dominant, while the cultivation of grain continued to fall as it had since the Great Famine of the 1840s. Just over a million acres of grain crops were grown in 1921, this had fallen to just over 750,000 acres by 1931. In January 1930, the Honorary Secretary of the Irish Grain Growers Association appealed to Irish farmers to maintain at least the 1929 acreage of grain crops. The American economy had collapsed in 1929 and was succeeded by a worldwide depression. Irish farmers had received a poor return for their 1929 crop. Indeed, in many cases, they had found it difficult to secure a market for it. The number of cattle declined in the country from 4.4 million in 1921 to just over 4 million in 1931. Milch cows accounted for three quarters of these. The number of horses also declined slightly during this decade. However, at the same time, pigs and poultry experienced a sharp increase in numbers. The number of poultry rose by almost six million between 1921 and 1931. Between 1926 and 1936 the total number of men and women employed in agriculture fell from just over 644,000 to just over 605,000. This trend later accelerated, partly due to increased emigration during the Second World War (the Emergency). Wages were low for a farm labourer; earnings could amount to less than 15 shillings a week. During the war years, the area of land under tillage rose dramatically. In 1939 the total area of tillage (including grain, root and green crops and flax) amounted to 1.5 million acres. This had increased five years later to 2.6 million. Wheat production rose dramatically but this did not prevent the introduction of bread-rationing in 1942. Tea, sugar and butter were also rationed. Meat remained plentiful. Private motoring almost completely ceased in 1943 and gas and electricity supplies were drastically cut. The export of live cattle and meat products continued to form the basis of the export trade between Ireland to Britain. 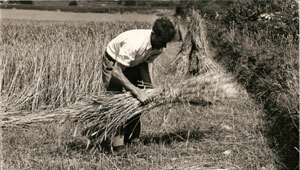 The summer of 1946 was one of the wettest on record and the wheat harvest was meagre. Bread rationing was, once more, introduced. In addition, there followed a particularly hard winter, fuel supplies were scarce and in early 1947 transport and industry almost ground to a halt. Within rural Ireland there was a pattern of late marriages and a very high birth-rate within marriage. The rate of emigration, especially for single women, remained high during the 1930s and 1940s, with England the main destination. There was also a movement into urban centres from rural areas. 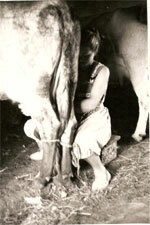 By the 1940s it appears that a general discontent with their conditions was becoming evident among the rural population. On the family farm, the woman of the house was usually responsible for the care of the small livestock, the poultry, pigs and calves. She would also attend to the vegetable garden and to the growing of fruit. Usually there was no running water or electricity, sanitation was poor and there were few modern conveniences. Few women worked outside of the home and they usually lost their jobs on marriage. For instance, women teachers, who qualified after the 1st January 1933, were obliged to retire when they married. 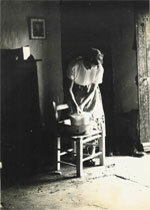 From the early 1940s on, sympathy was growing for the woman in the home and the difficult conditions under which she had to labour. Tentative suggestions had been made, following the First World War, for harnessing Ireland's abundant water supply for the generation of electricity. In 1925 construction had commenced on the main power station at Ardnacrusha, near Limerick. This was completed late in 1929. 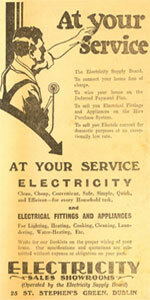 In 1927 the Electricity Supply Board was established. In the early years, electricity was provided mainly to the towns and villages, by 1943 about ninety-five per cent of urban populations had a supply. However, only about fifty per cent of the population as a whole were connected to the network. 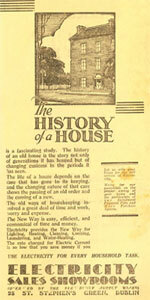 "Nowadays town houses are built for convenience and labour saving, for comfort and economy in the running of them. The townswoman has a supply of running water, a neat range that will not burn much fuel and will supply hot water to wash-basin and bath in the bathroom and to the wash-up sink in the kitchen or scullery. She has hot and cold water, good sanitation, electric light, a plug for her electric iron, cupboard space and plenty of shelves. All this makes heaven for the town home-maker. And all this goes for the plain workman's wife as well as for the doctor's wife in Merrion Square. The country woman then must drag in the cold water from outside the house. 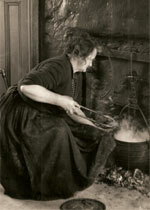 For every basin of hot water she wants, she must lift a heavy kettle on and off the fire. On washing-day, washtubs must be filled and emptied time and again; what it costs in labour to keep her churn and milk vessels clean! The open fire-place in the country house looks grand and when we think of the lovely cakes that come out of the pot-oven, it makes us quite sentimental - but the truth is that half the heat goes up the chimney with the draught and the old pot-oven is unwieldy and clumsy and out of date. Now when night falls, the townswoman, presses a button and at once there is a light and cheerful glow about her. The countrywoman, like the Wise Virgin in the gospel, has had to clean and tend and fill her lamp before lighting it or else she has to depend on her halfpenny dip. Millions have been spent on the Shannon scheme but it is not the countrywoman who has the benefit of it." (Muintir na Tíre Official Handbook, 1941). 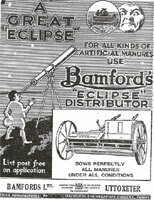 Taken from 'Electrical & Sundries,' 1925-26 season. Taken from 'Electrical and Wireless Sundries,' 1925-26 season. The rosy picture of urban living, as depicted above, was often very far from the truth. Dublin contained some of the worst slums in Europe, with many people living in squalid tenements, without even the most basic of facilities. In terms of health, heart disease, tuberculosis and cancer were the big killers. The first Irish Hospitals Sweepstakes was organized in 1930 and proved a huge success. After 1933 the Hospitals Trust Board administered the funds realised from the sweepstakes to hospitals. The sweepstakes were based on the main annual horse races. Non-contributory pensions for widows were introduced in 1936. Children's allowances were introduced in 1944. They were generally paid to the father for the third and every subsequent child. In 1926 the School Attendance Act made school attendance compulsory on all school days for children between the ages of six and fourteen. The primary school programme consisted of attendance for five or six hours, five days a week for a minimum of 190 days a year. The subjects studied included, Irish, English, Arithmetic, History, Geography and Music. Girls also received instruction in needlework. 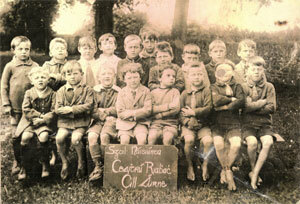 In the late 1920s, the Department of Education had introduced the Primary School Certificate examination. This examination was voluntary until 1943 when, despite strong opposition, it became compulsory for all children who had reached sixth class. Only a small percentage of children proceeded into post-primary education. 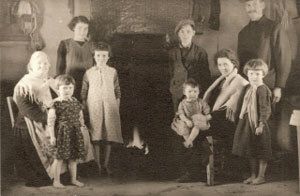 As late as 1957 only 10,000 students sat the Leaving Certificate, which marked the end of a pupil's secondary education. People amused themselves in a variety of ways. 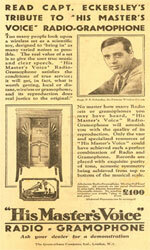 In the early 1930s, few people had access to radio. The state-run station, known as 2RN, was a division of the Post Office. In 1932 only about five per cent of households held radio licences and most of these were in the east of the country. This number increased to 100,000 following the opening of a new transmitter in Athlone in 1933. Cinema was a very popular form of entertainment. It provided a glimpse of more glamorous lifestyles, far removed from everyday Irish life. But in some quarters Cinema was seen as a bad influence. It was believed to have a demoralising effect on the young, undermining their Christian standards of morality and decency. Irish Independent, Thursday 16 January 1930. 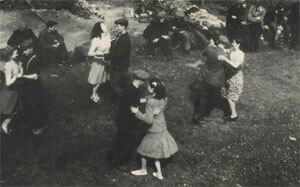 In the countryside, crossroads dancing was a frequent pastime and often a platform was erected for this purpose. H. V. Morton described one on his visit to Killarney in 1930. It was situated just outside Killarney, on the far side of the bridge leading to Muckross. Morton visited this platform one Sunday hoping to see some dancing, but was to be disappointed on this occasion. There he found 12 youths sitting on a wall, but there was not one girl. One boy had a fiddle, another a concertina. A number of girls eventually appeared on the scene, but unfortunately, they passed right on by. Disappointed, the boys packed up their musical instruments and departed. 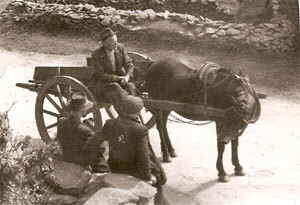 Morton referred to the marked segregation of the sexes, which he described as 'a remarkable feature' of the Irish countryside. Sport was popular. Gaelic football, hurling and soccer were all played and the Annual Horse Show in Dublin was a big event. Card playing at night was also popular among men. 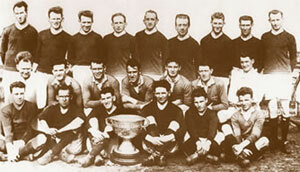 The big sporting occasion of 1932 was the Tailteann Games. These can be compared to an Irish version of the Olympic games, which that year, took place in Los Angeles. The Tailteann Games were previously held in 1924 and 1928. 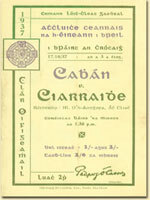 All Ireland Football Final Programme, Cavan verses Kerry, 1937.